This type of event has swept over the country and is quite popular everywhere! Canvas painting has become a fun get-together for friends and family, and always makes a unique date night too! We encourage anyone who is old enough to follow directions to join us for this great evening. 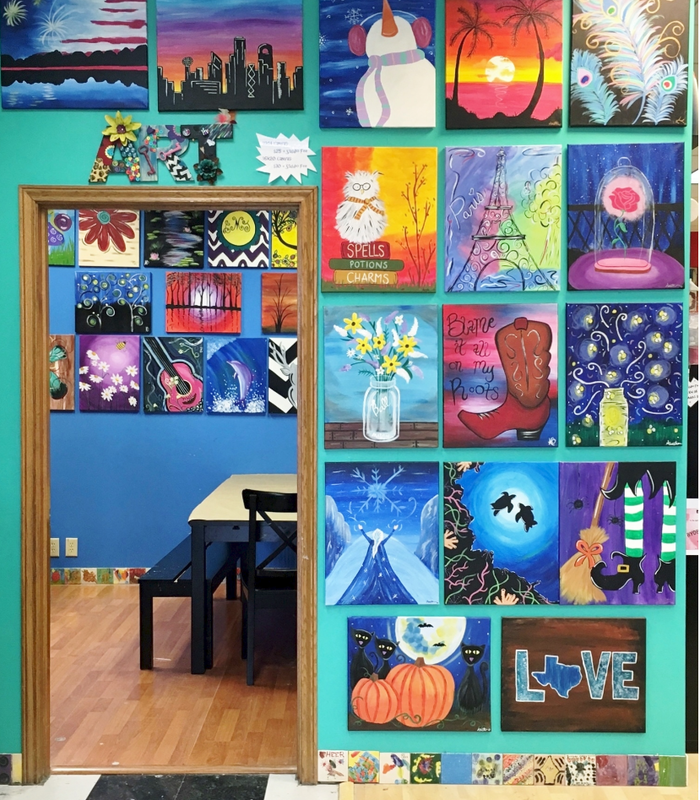 One of our staff members will guide you step-by-step in creating a painting on canvas that you will be proud of. Don't be scared if you think you can't paint! It is our job to show you how! By following each easy step in layers you can create anything! Check our calendar for the next Canvas night! You and your friends may bring beverages of your choice and small bites to eat. Things to know: Due to careful planning and project preparation, payment is due at registration. Cancellation Policy: For refunds you must provide us with 24 hours notice prior to event to allow us time to fill your spot. WE HAVE A LARGE SELECTION OF CANVAS' HERE ARE JUST A FEW.